You do not discharge wastewater? When you cultivate without emission, or aim for it and you want a solution to the small amount of waste water in case of a calamity, Easy Solution is the means to comply with the laws and regulations. Without the investement in a permanent treatment installation, this service will save u a lot of time and costs. 2027 still seems far away. Ultimately, it’s the time when you as an entrepreneur have to grow 100% emission free. In view of that development, we have developed the Easy Solution. This service guarantees you a solution within 24 hours in case of an emergency. Thinking of a malfunction of your current disinfectant, virus, silo leak or any other reason that causes you to store, discharge or treat drainage. The Easy solution is also a means of obtaining the pesticides Admire, Vertimec and Calypso. 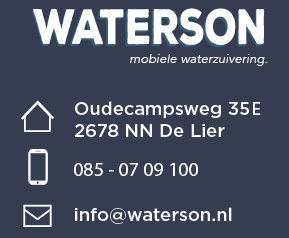 Waterson takes into account your need to handle your water within 24 hours during a calamity and will provide you with a solution. 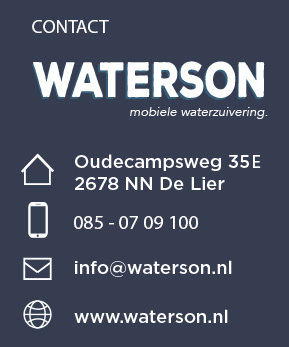 In case of an emergency, please contact Waterson’s emergency number +31612933392 and also contact us by email at storing@waterson.nl. You must indicate how much water it’s going to be and whether you want to have it buffered or treated with one of our treatment installations. Waterson will provide an appropriate solution within 24 hours. The choice for fulfilling the solution makes Waterson, depending on what is best at the moment and what your needs are. As an entrepreneur, you can choose from temporary buffering capacity, water treatment based on recycling, disinfecting, spin recipe or a combination of both.